When it comes to marine audio systems, Driven Sound & Security is your one-stop shop. 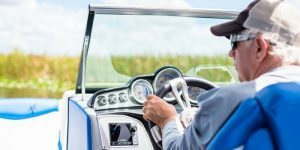 We can handle anything from a basic radio or speaker upgrade to a massive custom system with wakeboard tower speakers, subwoofers and accent lighting. Our dedication to customer services starts with making sure we understand your goals for the system and how you are going to use it. Only then will we start to design a solution that will look awesome and sound fantastic. Working on a boat is very different from working on a car or truck. 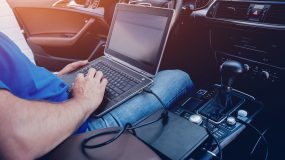 The physical abuse the products take from pounding through the waves under the harsh summer sun can wreak havoc on poorly designed and installed systems. We ensure that each product is secured properly for maximum reliability. 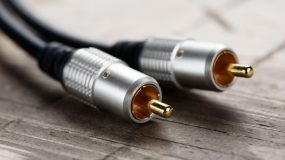 We make each and every wire connection to provide the highest possible current flow for maximum system efficiency and play time. We use only marine-grade materials to ensure that our installations will last for decades. We finish each installation by tuning with an oscilloscope and RTA to guarantee that it will be reliable and sound great with any music. 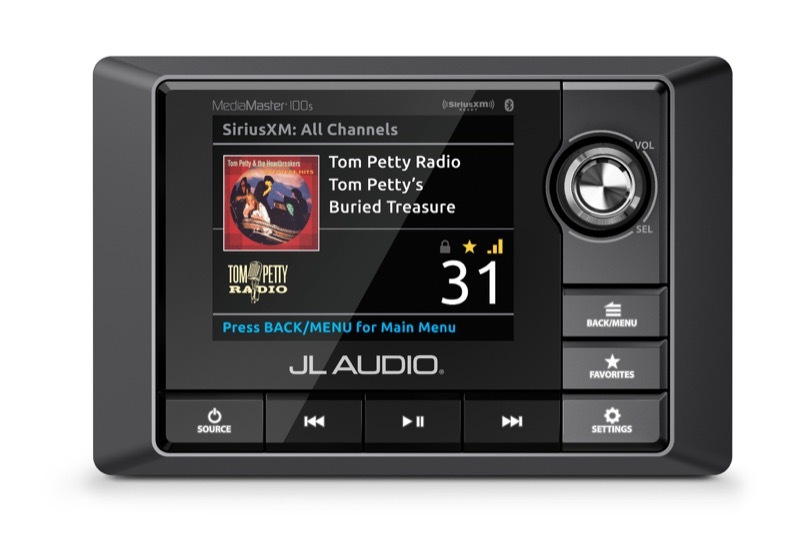 Driven Sound & Security is a proud JL Audio dealer. 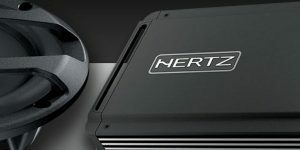 JL Audio has one of the most extensive offerings of marine-specific amplifiers, speakers and subwoofers. 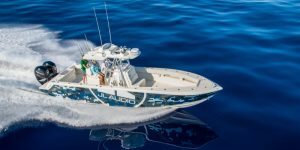 They are one of the most respected names in marine entertainment and are the choice of top boat manufacturers around the world. 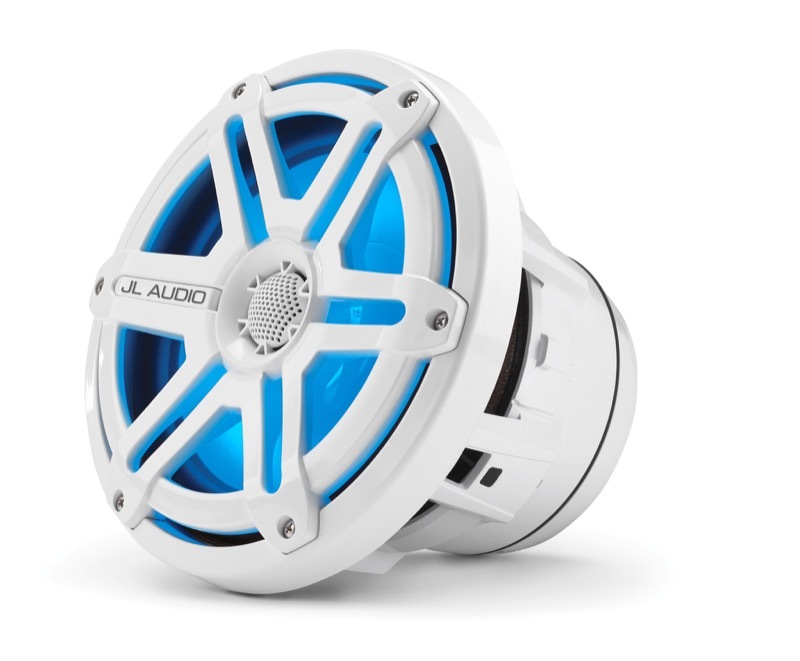 JL Audio recently announced the release of the company’s first marine source unit – the MediaMaster MM100. This unit is designed to give customers access to all common music sources, including Bluetooth, USB, SiriusXM and more. JL Audio designed every one of their marine products specifically for marine applications from the ground up. 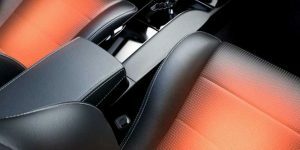 They can handle exposure to harsh UV sunlight without yellowing or chalking. They won’t be damaged when they get wet, and, if you take a run out to the ocean, salt exposure has no effect on them. No matter what kind of boat you own, we have the experience to design and install the entertainment system you want. We can handle anything from a small fishing boat to a big cruiser or a wakeboard boat. 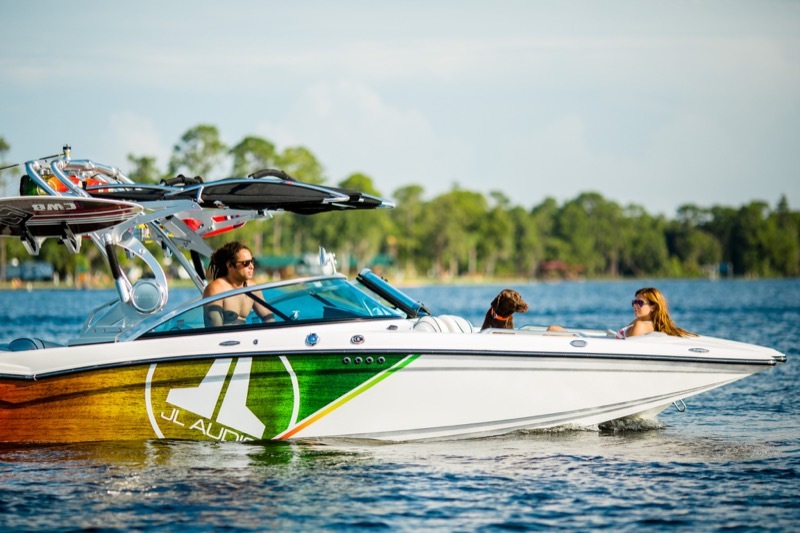 We choose wakeboard tower speakers, subwoofers, high-power amplifiers, and component and coaxial speaker mounting locations to ensure everyone on board gets to hear their music clearly. We also can handle electrical system upgrades for more play time when the engine is off. We get many requests for lighting upgrades on boats. We can add LED accent lighting in the cockpit to give your boat a personal touch. High-power LED lighting can be installed on a wakeboard tower to help you navigate when the sun starts to set. We even have speakers with built-in lighting for something truly unique. 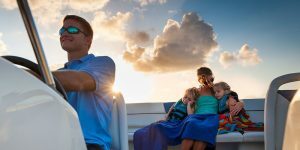 Owning a boat is all about fun, and the staff at Driven Sound & Security is happy to help you make your marine entertainment system an integral part of your day on the water. Our professionally installed marine audio systems are easy to use and sound great! All you need to worry about is sunscreen and cold beverages. To schedule a consultation at our Marquette facility, give us a call at 906-475-4100 or contact us here.